This Army With Crest Embroidered Low-Profile OD Green Ball Cap Hat is fully guaranteed. This low-profile cap has the design embroidered directly onto the cotton twill surface. This hat is fully adjustable. 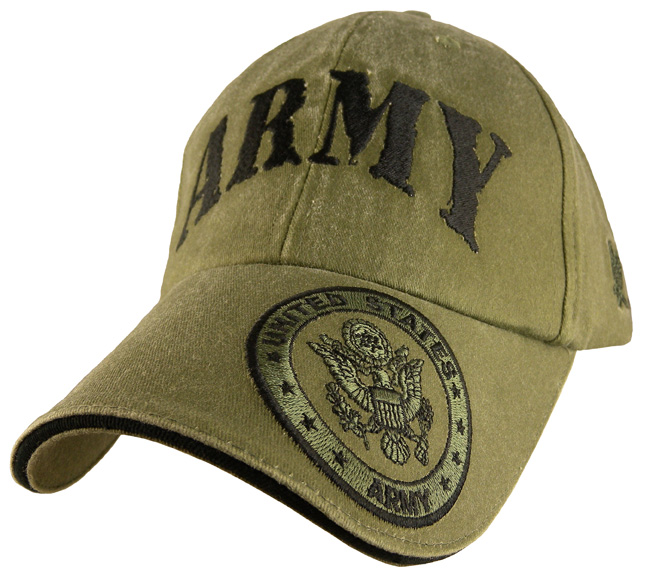 This Army Decals ballcap will make a wonderful gift or a nice addition to your own collection. * Please note, the material used to make this cap is "distressed" and color variations will occur. This includes, but not limited to, areas of fading, pilling, and/or small tears present on the cap that may not appear in the product listing as pictured.